Before I got married, I used to play video games. I loved Nintendo, Super Nintendo and Game Boy back in the day! This is one of the things my husband liked about me when we met. When I lived in Japan, I even bought the Game Boy Advance that was a lovely pearl pink color, which at the time was only available in Japan; I got the old-school Zelda and Mario rereleases that came out for it at the time. I know, I’m dating myself! Once we had our first daughter, I had no more time for games. Well, more accurately, I didn’t prioritize them, much to my husband’s chagrin. He was in grad school, I was working and taking care of the baby, and we were exhausted. To be honest, I still don’t really have the desire to prioritize games like I used to — I can always think of a hundred other things to do! I know this annoys him because he makes video games for a living. Sorry, Honey! 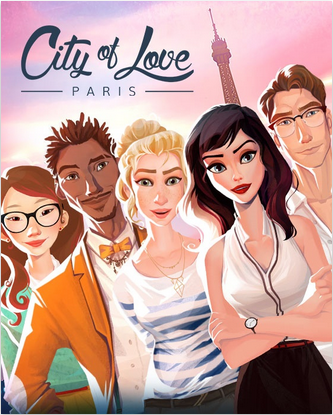 A week or so ago, I came across an iPhone game called City of Love: Paris, by a developer called Ubisoft. I can’t even remember how I heard of it! Maybe I was researching materials for learning French? I have no idea. Anyway, the concept sounded intriguing: you’re an American woman working in Paris and solving a mystery while enjoying French culture and possibly finding video game romance. Oh là là! My MS Word document full of typos is so long, I’m going to start adding at least two screenshots per entry for Typo Tuesday. At some point I may run low and change that, but I doubt it will happen soon because I come across typos all the time. First up for today, we have another entry from the Wordfast CAT (computer-assisted translation) software I checked out before a job interview.